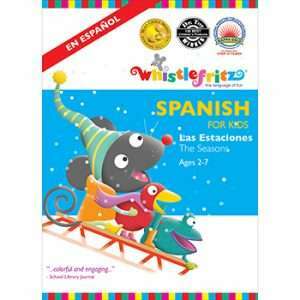 Enrich your Spanish instruction with the award-winning, multi-media Educator’s Collection from Whistlefritz. 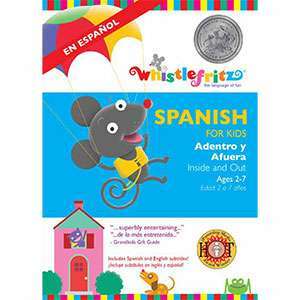 The Educator’s Collection provides a rich and diverse set of tools for Pre-K and early elementary Spanish teachers. 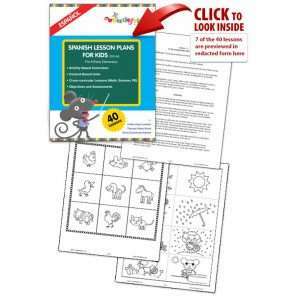 Developed by creative and experienced educators, Spanish Lesson Plans for Kids is a scaffolded curriculum of 40 reproducible lessons that engage children in a diverse array of interactive, age-appropriate activities. 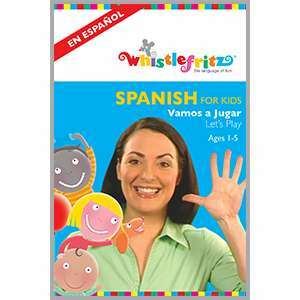 Spanish for Kids videos teach vocabulary through an appealing blend of live action and animation ideal for visual learners. 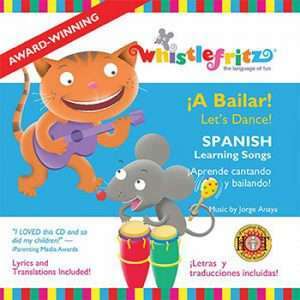 Spanish for Kids music gets children on their feet singing and dancing to an irresistible mix of Latin songs and rhythms. The Matching Cards are a playful introduction to action words. 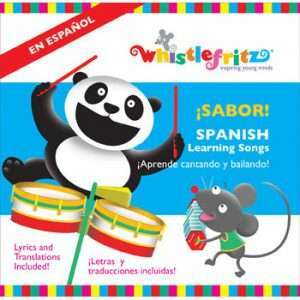 Packed with fun, laughter, and music, the Educator’s Collection is a treasure trove of teaching activities and materials for the Spanish classroom! 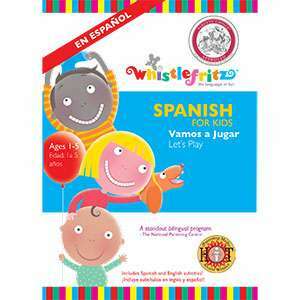 Give your child the gift of language with the entire award-winning series of 5 Spanish videos, 3 CDs, and memory matching cards! 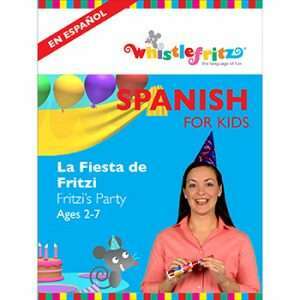 From numbers and letters to the seasons and birthday parties, the Spanish for Kids videos offer a playful blend of live action and animation. 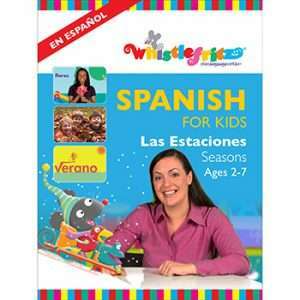 The videos teach Spanish using the immersion teaching method recommended by language acquisition experts. 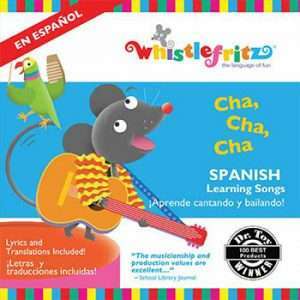 Spanish for Kids music keeps the language fun going with an irresistible mix of Latin songs and rhythms that get children on their feet. At home or on the go, the Matching Cards give the classic memory game a playful new twist. 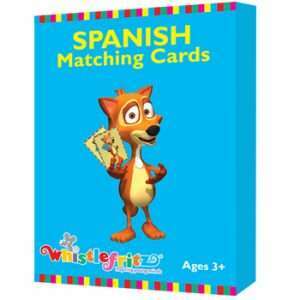 Packed with fun, laughter, and music, The Deluxe Spanish Collection is an ideal introduction to Spanish! 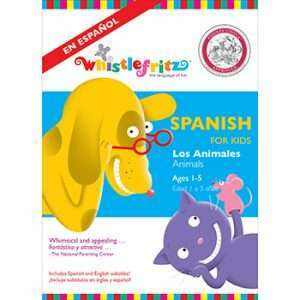 Includes lyrics, translation guide, and Spanish subtitles.